But Al Kaline and Stan Musial stand alone. Not merely because they are Hall of Famers. This is not a greatest-player-by-number blog. It is about Opening Day. And those two greats played a combined 41 Opening Day games. Forty-one. Simply put, they were always there, with a big overlap. They were symbols of starting anew for so many fans in Detroit and St. Louis every single April. They were in the lineup on Opening Day when a boy was learning the game and then still there when that boy took his child to Tiger Stadium or Sportsman’s Park. They represented each league, Kaline in Detroit and Musial in St. Louis. They represented loyalty, durability, consistency, magical moments and eventually the 3,000-hit club. They never met in a World Series, only in nine straight All-Star Games as opponents. One of their greatest intersections was simply seen in the morning or evening delivery of the season’s first box scores in a hometown paper. They were back, and Baseball was back, as soon will be the case again. 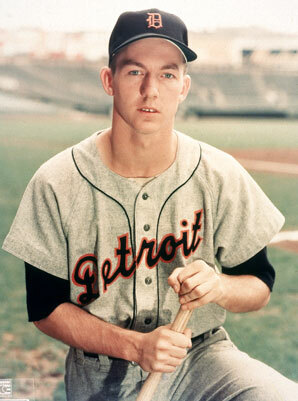 Kaline played 20 consecutive Opening Days, from 1954-73. He was called up during the 1953 season, going straight to the Majors out of high school. He wore No. 25 as a rookie and asked retiring teammate Pat Mullin for his No. 6 after that season, donning it on April 3, 1954. In his first Opening Day at-bat, the phenom from Baltimore singled off Orioles starter Don Larsen. Detroit won that day, 3-0, and Kaline was on his way. In 1955, he would open the season by hitting safely in his first 14 games, and in 23 of his first 24, on his way to a 200-hit season and his first of 13 consecutive All-Star selections (15 overall). He was known simply as “Six” in the clubhouse, and is “Mr. Tiger” today at age 79, in his 62nd year with the organization. Musial played 21 Opening Days, from 1942-63, absent in ’45 due to WWII. Stan the Man already had won three World Series rings and three National League Most Valuable Player awards by the time Kaline was in The Show. In his first opener, a home game against the Cubs (5-4 loss), Musial played left and hit second, clubbing a single and triple. The Cardinals’ 1950 game against Pittsburgh marked MLB’s first night opener, and Musial homered. On April 17, 1956, in the top of the ninth at Crosley Field, Red Schoendienst singled and then Musial came up and broke a 2-2 tie with a two-run homer in the 4-2 win. 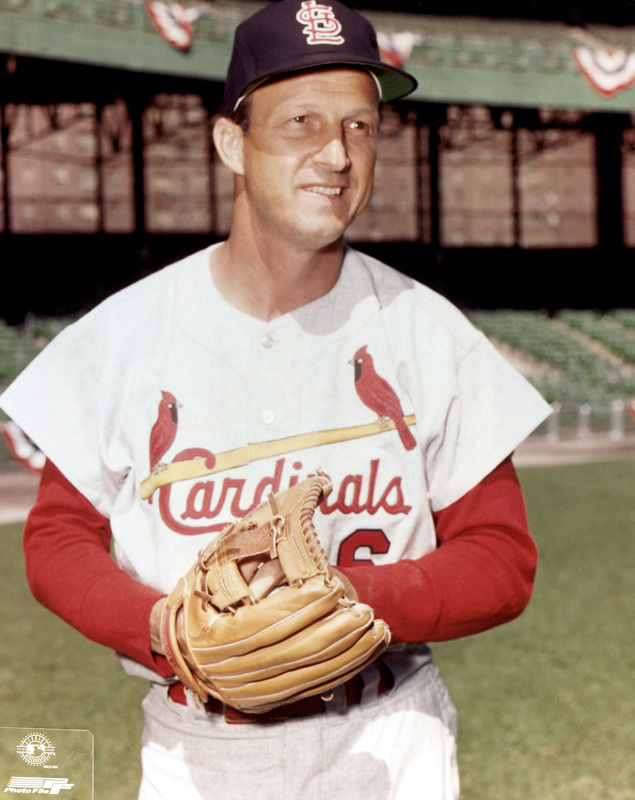 Beloved to generations of fans and Presidential Medal of Freedom recipient, Musial passed away on Jan. 19, 2013. He was one letter away from a musical, but we loved his harmonica every year, anyway. The 2014 Tigers open the regular season March 31 at home against Kansas City. The Cardinals open the same day on the road at Cincinnati, and then they celebrate their home opener against the same Reds on April 7 at Busch Stadium. Who should be No. 5? Two days in a row you got it right! Bravo. With his 56-game hitting streak I think you might pick Joe DiMaggio, but I would prefer a TRIPLE. Add both Brooks Robinson and George Brett, both of whom are First Round Hall of Famers, something that eluded the Yankee Clipper. Opening the season to the National Pastime in Australia is just another wrong-headed Selig invention. And so is opening in Japan or Taiwan or The Netherlands or wherever else the Used Car Salesman has in mind. Greinke’s right … no one wants this. Not the players, not baseball fans. Australia is Australia. They got the Aussie Open and they got kangaroos. That should be enough. I also vote for Brooks. His demolishing of the Reds during the ’70 series was unprecedented and may be the best post-season performance in history. Just because it would make the best video, it’s worthy of being shown regardless of whether he is the best #5 ever. DiMaggio and Brett are also good picks, man Robinson was fun to watch. As Elrod Hendricks said when called on to pitch for Baltimore in a meaningless game, “…throw it inside and hope they pull it.” I think Jim Palmer had the same strategy for most of his career and it worked well. DiMaggio was a great, but I’m adding another plug for Brooks. Best third baseman ever, and downright a phenomenal human being. Sparky Anderson once said that if he dropped the plate he was holding, Brooks would be able to field it on one hop and throw him out at first. Awesome player.